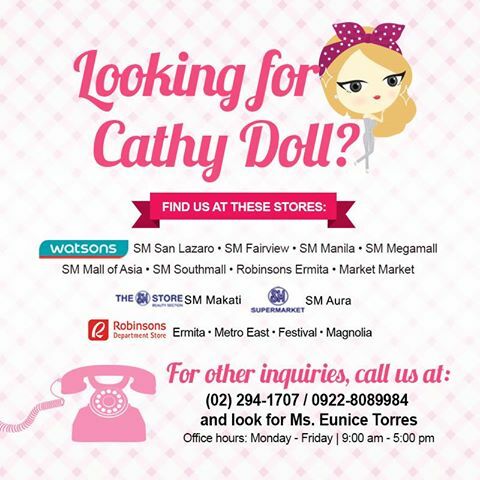 After Welcoming Cathy Doll in the Philippines, what now? Of course we have to try their products! 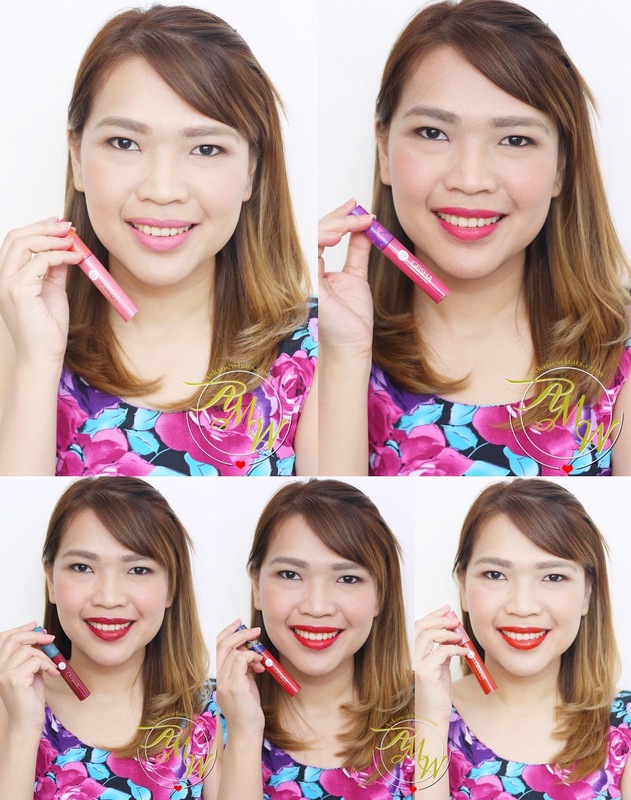 I was one of the lucky few who got to try these Geisha Hanazakari Lip Matte months ago (months ago because I will be hosting this event and it would be nice to share to the audience my experience after using Cathy Doll products) and already found a favorite shade! Can you guess which particular shade I call my shade? Karmart introduces 5 gorgeous colors for their Geisha line, I have actually used ALL shades in various occasions and I'm finally ready to review my honest thoughts. AMW Wore all 5 shades! If you guessed this as my favorite shade...guess what? You're right! I seldom look good in a "pink" lip color and this is definitely an exception! I get compliments whenever I wear this and I feel young and vibrant on each swipe! The consistency of Sakura shade is also my favorite, which led me to let you know that all 5 Lip Matte have different consistencies! I'll talk more about that later on! Sakura is a cool-tone medium pink shade that works so well on all skin tones! I can imagine a darker complexion rocking this color and achieve the sweet-looking persona! If you are the type who prefer brighter-looking type of pink, this mauve-pink shade is perfect to brighten up your complexion and works also for light to dark complexion! This is also a nice day to night time lip color, how? Apply a thin layer and gently pat with a clean tissue for daytime and apply 2-3 layers for a bolder nighttime look! Out of all the dark shades, this is my favorite so far! This is a deep wine shade that warms up the skin like no other! Wine Orchid gives a nice sophisticated feel without looking too made up! Close to Mac's Ruby Woo but a tad bit brighter! This is a perfect red lippie for those who just can't go out of the house without wearing one! An instant teeth-brightener! This will be the shade of lip color I would pick if I want to make a statement or on days I don't want to look like "Nikki". Consistency of the pinks are really nice (01 and 02), they have this "bouncy" feel on every application leaving the lips looking hydrated. 03, 04 and 05 has a more "liquid" consistency. It applies like a dream though and doesn't cling on to dry areas around the lips but because of the "watery-texture", the lips feel a tad bit dryer after hours of application. --- > this experience is based from user with extremely dry lips. So I highly recommend to prep the lips really well with lip balm or moisturizer before using these 3 shades. All shades are highly pigmented, you get the real color straight from tube even in just ONE Swipe. They aren't long-lasting or long-wearing. They do transfer on cups and mugs so re-application is needed! It is highly recommended to bring these lippies with you for touch-ups. These are definitely a nice addition to your lipstick fantasy land! I am definitely in love with shades 01 Sakura, 02 Pink Moss and 03 Wine Orchid. These are priced at Php399.00 (approx $9.00). Check out availability poster below. What's your favorite Geisha Hanazakari Lip Matte shade? If I were to choose between these babies I would go for Red Rose it such a pretty statement making color on my skin tone. Anyway Sakura suits you very well and I would definitely agree that this lippie can instantly make you look 5-10 year younger. Wine orchid looks really chic. Sakura is a lovely pink.